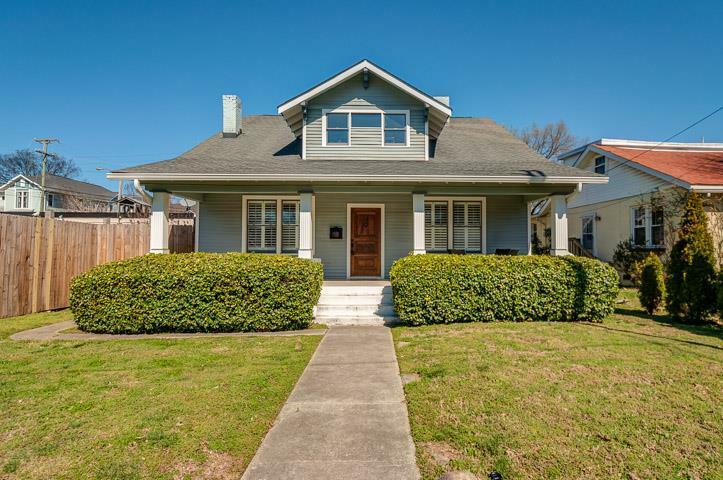 Our latest East Nashville home listing — 1403 Woodland St., a 1910 Bungalow steps from 5 Points — grabs our hearts for a lot of reasons. The fireplaces, the gorgeous woodwork on the kitchen island, the way the high ceilings give the whole home an airy, breezy calm. But one of our favorite attributes has to be the location, location, location. If we were asked to pick a favorite street in all of Nashville, it very well might be Woodland Street, one of East Nashville’s most charming arteries, stocked with well-loved historic homes, independent Nashville businesses and friendly neighbors. If you haven’t wandered Woodland Street much, here’s encouragement to do so, in the form of a few of our favorite things, all within (fairly reasonable) walking distance of 1403 Woodland. We think these’ll help you get why we’re so excited about this home hitting the market. East Nashville’s renaissance, in a lot of ways, has been driven by and centered in the growth around 5 Points, the neighborhood’s cozy, quirky, longtime business hub. World-class cuisine at Margot and world-class music at Slow Bar (now 3 Crow Bar) proved instrumental in pushing the area forward, and today, it thrives in part because of the tone those businesses (and others) set. Clustered around the five-way intersection 5 Points is named for, you can find everything from locally roasted coffee to locally made ice cream to a place to take your pups for their shots and checkups. Over 15 years, the Tomato Art Fest has become kind of synonymous with East Nashville — it’s easily the neighborhood’s biggest annual gathering, and in a lot of ways, its most East Nashville-esque event, stocked with neighbors getting together and getting creative, with local artisans sharing wares, local restaurants slinging special drinks and food, and everything from a tomato-themed art show to a fashion show for dogs. The fest goes down at 5 Points, so living on Woodland Street, you’re right in the mix, without having to find parking. (If you’ve gone to the Tomato Art Fest before, you get how valuable that is.) The 2018 event is set for August 10 and 11 (so the new owners of 1403 Woodland St. can be in and settled well in advance of Tomato time). One qualification: Nashville’s been getting a lot better when it comes to all kinds of pizza, but specifically with the New York-style stuff, we grew by leaps when Five Points Pizza opened at 1012 Woodland St. in 2011. Its owners studied in Staten Island and brought legitimate tricks of the trade back here, which many former New Yorkers in Nashville thank them profusely for. For East Nashvillians who like a cocktail (or a cold beer), it’s hard to beat Woodland Street — it’s a bar crawl unto itself, with a broad mix of offerings. Steps from 1403 Woodland St., you have Lipstick Lounge, with its all-are-welcome vibe and a steady schedule of fun stuff, like karaoke and games. Wandering over toward 5 Points, there’s neighborhood-y camaraderie at 3 Crow Bar and all kinds of games on at Beyond the Edge. A little further west, and you find classic dive-bar spirit at Edgefield Sports Bar & Grill, and a stylish hang at The Crying Wolf. For the teetotalers, there’s High Garden Tea, a teahouse with creative flavors brewed for you, and lots of herbs and teas to take home. Not every city has an independent green grocer to shop with, tuned to locals’ unique preferences and needs. And we’d bet that very few cities have one even half as great as The Turnip Truck (at 701 Woodland St.), an East Nashville institution that grew up with the neighborhood. Turnip Truck can take care of your organic produce needs, your bulk foods needs, your kombucha and beer growler-filling needs and on and on, and their cold/hot bars are a steady go-to for lots of East Nashville families who always want homemade dinners on the table, but don’t always have the time to get it done. 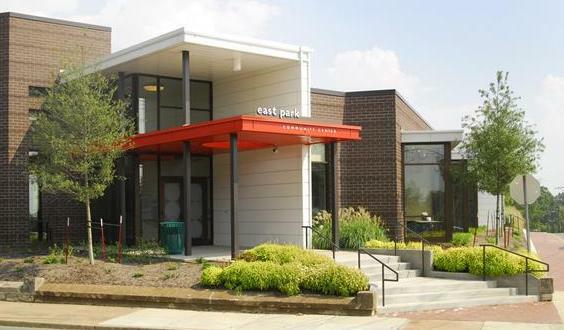 East Nashville earns high marks on the parks front — Shelby Park, in particular, has so much green space and so many extras, from the Shelby Bottoms Nature Center to the Vinny Links golf course. Although it’s much smaller, East Park also has a special place in our hearts — set right on Woodland (between S 6th and S 8th), with a bright expanse of green grass for picnics and playing, it’s a fantastic oasis set among the homes and businesses on Woodland Street. 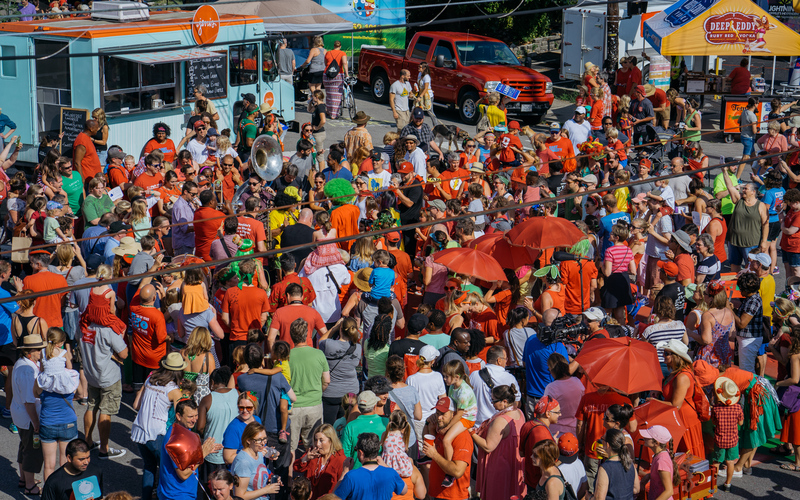 And its setup and location make it a particularly great place for events and festivals, which is why, in the warmer months, its schedule stays stacked, from the annual East Nashville Beer Festival in April to the Music City Hot Chicken Festival in July. 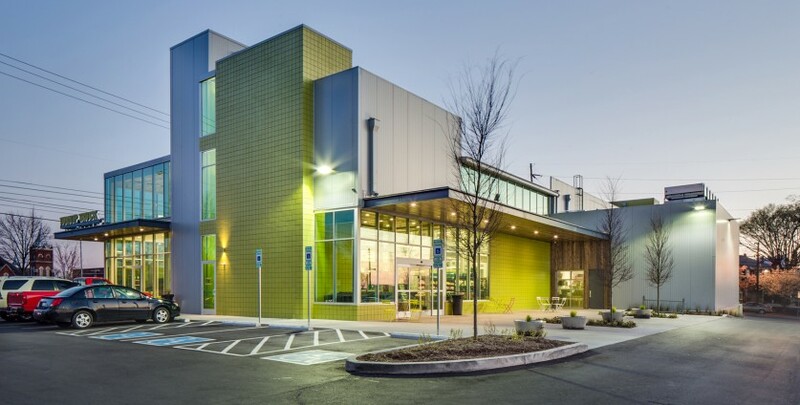 A sidenote to the above that we had to set apart: East Park’s Community Center (600 Woodland St.) is bursting with fitness riches for East Nashvillians year-round, including an indoor swimming pool and walking/running track and a full-service fitness center. There’s stuff for all ages, and many of the activities there are free. It’s one of those easily overlooked bonuses that make East Nashville a particularly special place to live. These are really just a few of the reasons we’re smitten with Woodland Street — if you’ve fallen for 1403 Woodland St. as much as we have, and want to check it out in person, we can (happily) show you more reasons to love this area; just call or email ACRE here. If 1403 Woodland St. isn’t the perfect fit for you, we’d love to help you find an East Nashville home that is — just tell us about your wish list!